Packages, Services, Gift Cards and more! Revitalize yourself from head to toe with a massage, manicure, and pedicure. 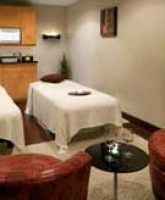 Your personal journey includes a custom body massage, manicure, and pedicure.